I understand that my Trainer/Instructor/Therapist operates on a pre-pay basis and all sessions must be paid for in advance. Bookings and classes will not be confirmed until payment has been received by H.U.M.A.N.S. Institute s.r.o. I also understand that any payment made is not refundable under any circumstance. I understand that once my H.U.M.A.N.S. Institute s.r.o. Trainer/Instructor/Therapist and I have agreed upon the most appropriate training programme/package for me, payment must be made before the sessions are conducted. I understand that failure to make a payment will result in my sessions being forfeit. I understand that all pre-paid block courses and packages have a completion date. Outstanding sessions will not be carried over the completion date unless a prior agreement has been made with my Trainer/Instructor/Therapist and H.U.M.A.N.S. Institute s.r.o.. I understand that I must contact my H.U.M.A.N.S. Institute s.r.o. Trainer/Instructor/Therapist directly to cancel or change any booked sessions. I understand that if I need to reschedule or cancel a training session (even a free consultation) I will need to contact my Trainer/Instructor/Therapist more than 24 hours before my session time. Cancellations made without the 24 hours notice period will incur the full charge. I understand that cancellations for agreed pre-paid block sessions and packages which I have already started cannot be reimbursed, but that the package may be frozen for up to six months and restarted or transferred by me to another client with the agreement of my Trainer/Instructor/Therapist. I understand that if I decide to embark on a standing order or direct debit agreement, all payments will be counted towards sessions and may only be reimbursed as sessions. I understand all private sessions will last 1 hour inclusive of admin and rebooking, unless otherwise stated and will start and finish on time. I understand that all classes are of 120 minutes duration unless otherwise stated or agreed in writing. I also understand that my Trainer/Instructor/Therapist may not be able to provide a full session duration if I am late to a session. However, if my Trainer/Instructor/Therapist is late for a session, I will still receive the full session time or have the outstanding time added to another session. I understand the results of any training programme or coaching course cannot be guaranteed and my progress depends on my effort, consent and cooperation during, after and between the sessions. In particular I acknowledge that individual results may vary and no particular result is guaranteed by either my Trainer/Instructor/Therapist or H.U.M.A.N.S. Institute s.r.o. I understand that there are inherent risks in participating in any programme of strenuous exercise, martial arts or undergoing therapy of any kind. If I sustain or claim to sustain any injury while participating in any fitness programme, class or therapy, I acknowledge that H.U.M.A.N.S. Institute s.r.o. is not responsible, except where the injury was caused by the gross negligence or intentional act of my Trainer/Instructor/Therapist. I certify that I have completed my answers to the questions outlined on the Pre-Exercise Questionnaire form truthfully and completely to the best of my knowledge. I understand and agree that it is my responsibility to inform my Trainer/Instructor/Therapist of any conditions or changes in my health, now and in the future, which might affect my ability to exercise safely or receive treatment with minimal risk of injury. I understand that in the unlikely event of my H.U.M.A.N.S. Institute s.r.o. Trainer/Instructor/Therapist being unable to continue my training, my sessions may be transferred to another similar Trainer/Instructor/Therapist who agrees to take over my training. I understand that my Trainer/Instructor/Therapist is a self-employed, independent, freelance Trainer/Instructor/Therapist. I acknowledge that in engaging my H.U.M.A.N.S. Institute s.r.o. Trainer/Instructor/Therapist I am entering into a contract with them alone and not with H.U.M.A.N.S. Institute s.r.o. or any of it’s subsidiary companies. I understand and accept that from time to time, during the course of my treatments or exercise training, agents of H.U.M.A.N.S. Institute s.r.o. may take video or photographic images of me for educational and/or promotional purposes. I hereby grant legal representatives and assigns (including but not limited to any agency, client, or publication), irrevocable permission to take and publish video footage or photographs of me taken at any time or place during my therapy or exercise training sessions as a client of H.U.M.A.N.S. Institute s.r.o. I understand that any images taken of me may be published in any manner, including (but not limited to) instruction manuals, books, videos, calendars, advertisements, periodicals, greeting cards and social media posts. Furthermore, I will hold harmless H.U.M.A.N.S. Institute s.r.o. and it’s legal representatives and assigns, from any liability by virtue of minor cropping that may be required, and colour and exposure shifts that may occur in reproducing any photographs or videos. I understand that should I get marked, measurable results during my time as a client I will be asked to make a video testimonial of no more that 60 seconds or provide a written statement about my experience with H.U.M.A.N.S Institute s.r.o. I agree to provide this testimonial upon request and understand that it may be presented to people looking for help in order to educate them about the services provided by and the results they can reasonably expect as a client of H.U.M.A.N.S Institute s.r.o. Your health is your responsibility. The management and staff of this organisation are dedicated to helping you take every opportunity to enjoy the trainings and therapies that we offer. With this in mind, we have carefully considered what we can reasonably expect of each other. 3. We will take all reasonable steps to make sure that our staff are qualified to the fitness industry standards as set out by the Register of Exercise Professionals and the Hong Kong Daoist Association. 1. You should not exercise beyond your own abilities. If you know or are concerned that you have a medical condition which might interfere with you exercising safely, before you use our equipment or take part in any trainings or therapies, you should get advice from a relevant medical professional and follow that advice. 2. You should make yourself aware of any rules and instructions, including warning notices. Exercise carries its own risks. You should not carry out any activities which you have been told by a medical professional are not suitable for you. 4. If you have a disability, you must follow any reasonable instructions to allow you to exercise safely.The Health Commitment Statement is for guidance only. 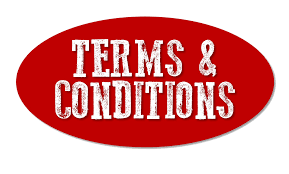 It is not a legally binding agreement between you and us and does not create any obligation which you or we must meet. I affirm that I am 18 years of age or older, and legally competent to make this agreement on my own behalf. I have read this document carefully and fully understand its implications.